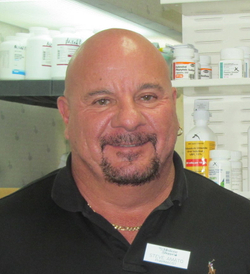 Steve Amato originally from Brooklyn New York has been in Florida for28 years Studied at Long Island University and did graduate work there also. 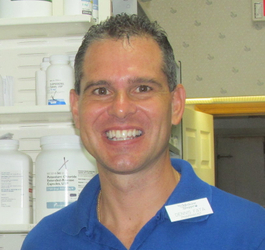 Dennis is from Long Island, NY and has been in Florida for 21 years and studied at St. Johns University. Sandy is originally from Illinois but has been in Florida since she was 8 years old. Melissa is the main certified technician at our pharmacy certified by PTCB. Shawnee is our long term care technician. She is originally from Michigan. Michelle is a registered technician at our pharmacy and is originally from Kentucky. Joe is our front end manager and walker mechanic. He is a home grown product of Florida. 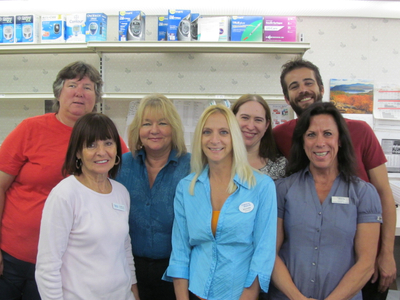 Joanie is our customer service representative and is originally from New York.